There's a fountain open, flowing freely everywhere. Just drink till you just can't drink no more. The tree, if it just drink to what it was allotment, why, it would just always, still in the drought. That's what's the matter with the Christians. They don't drink enough. You want to drink till you just spread out and let somebody else see it. See? Push out. Get a testimony. Commit it to God. Believe it. Step out on it. 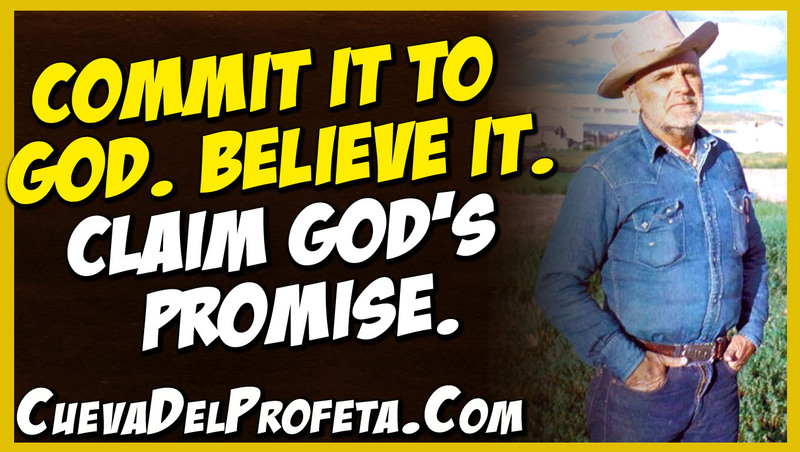 Claim God's promise. Just commit--commit it to God. Believe it. "Commit thy ways unto the Lord." He will bring it to pass whatever you want. But He can't do it until... as long as you're holding it. Say, "Now, I will see if I'm any better, and see if this will work." You commit it to Him; forget about the rest of it. Go testifying of things you don't even see. You believe it. It's not what you see; it's what you believe. It's not what you feel. He never did say, "Did you feel it?" He said, "Did you believe it?" That's how you're saved is by faith. 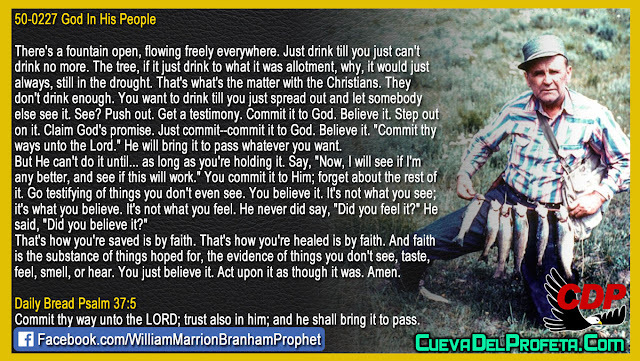 That's how you're healed is by faith. And faith is the substance of things hoped for, the evidence of things you don't see, taste, feel, smell, or hear. You just believe it. Act upon it as though it was. Amen.